The inability of the prosecution to establish motive in a case of circumstantial evidence is not always fatal to the prosecution case, held the Supreme Court today. 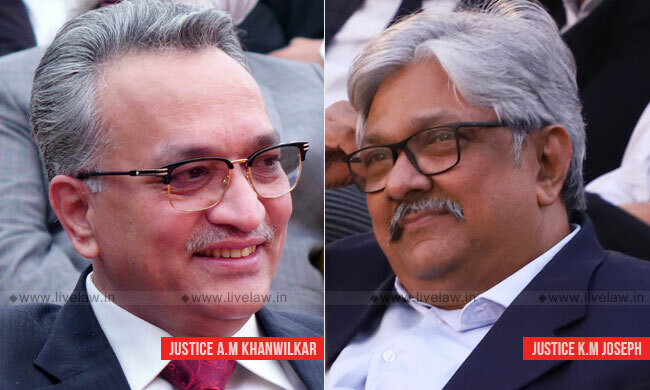 The bench of Justices A M Khanwilkar and K M Joseph held so while dismissing a criminal appeal. "We would think that while it is true that if the prosecution establishes a motive for the accused to commit a crime it will undoubtedly strengthen the prosecution version based on circumstantial evidence, but that is far cry from saying that the absence of a motive for the commission of the crime by the accused will irrespective of other material available before the court by way of circumstantial evidence be fatal to the prosecution", said the judgment authored by Justice Joseph. The appellant before the SC was a police officer, who was convicted under Section 302 IPC for murder, on the basis of circumstantial evidence. It was argued on behalf of the motive assumes great significance in a case of circumstantial evidence, and the prosecution's failure to establish it affects the case. The bench noted that there was testimony to the effect that the deceased was last seen in the company of the accused. Further, the bullet recovered from the dead body matched with the service revolver of the accused. "The only inevitable conclusion we can reach is that the gun was recovered from him and the bullet which has been found to have caused the fatal injury to the deceased and which was recovered from the body of the deceased has been fired from the appellant's gun", observed the judgment on the basis of forensic evidence. The defence of the appellant that his service revolver was surrendered during the relevant time as he was under suspension was not accepted by the bench, as he had not produced evidence of suspension, except making a statement during Section 313 examination.